As an employer, you have a legal obligation to provide a safe, non-threatening work environment for your employees. But whilst workplace safety is necessary for the wellbeing of employees, it is important to know that the benefits of having a safe and secure working environment extend far beyond employee rights. When your staff members feel safe and protected, they’re likely to work more efficiently, more confidently and more productively – and this is good news for your business from an operational perspective plus there’ll be bottom-line benefits too. Conduct a risk assessment. Identify and evaluate all possible risks and hazards so that you can work out the most appropriate risk-management solution. Develop a workplace health and safety plan. Establish effective monitoring policies and procedures. Provide adequate staff training on workplace safety policies and procedures. Ensure all equipment is in optimal operating condition. Follow strict screening and recruitment procedures. Routinely evaluate your workplace safety strategy in consultation with employees to ensure it is still relevant and effective. Compliance with legal regulations and standards is crucial but you’ll find that creating and maintaining a healthy workplace environment has plenty of knock-on advantages for employee wellbeing and the long-term success of your business. Staff will enjoy coming to work at a place where they feel safe and they’re far more likely to be inspired to do their best. A safe workplace will also help you to retain staff, maximise productivity and minimise the likelihood, costs and negative effects of employee injury, illness and absenteeism. Developing and maintaining clear-cut policies that make staff wellbeing a priority as well as establishing effective safety measures so that your employees can lead a safe life in the workplace will go a long way towards making your business a happy and productive environment. As a caring and concerned employer, you know that workplace safety isn’t just about meeting your legal obligations or checking that that the floors aren’t slippery. It’s also about making sure that your workers and anyone else who visits your premises are secure and protected. It’s about effective workplace security and having solid strategies in place that ensure early warnings about potential threats and dangers and which provide secure barriers to entry so that your staff are protected at all times. 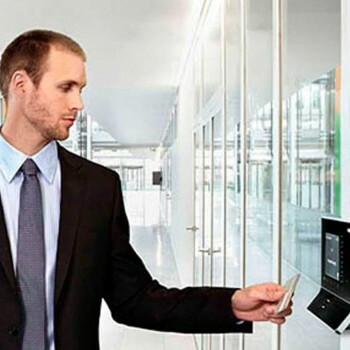 This could involve anything from perimeter fencing, a commercial alarm system, CCTV surveillance cameras, vehicular access control, biometric scanning systems, pin code pads and card readers for entry and exits. At Crown Security, we understand the importance of workplace safety and what it takes to achieve an environment where your staff and your visitors feel secure and safe. 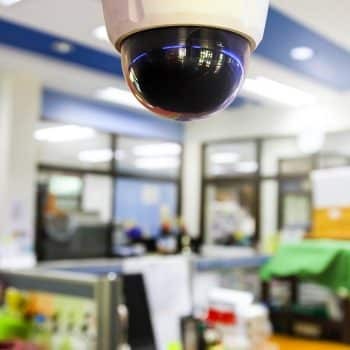 We’ve been in the business of domestic and commercial security in Perth for several decades and have the latest cutting-edge technology in security systems and CCTV cameras to give you a cost-effective workplace security solution tailored to meet your company’s unique needs. Be the employer who cares. Contact our friendly experts on 08 9400 6000 and find out why we’re the leaders in security alarm systems and CCTV cameras in Perth. Do I Need To Disclose If I Have CCTV Installed?